Liddington – Liddington in Wiltshire, UK, is situated on the ancient Ridgeway track at the edge of the North Wessex Downs Area of Outstanding Natural Beauty. 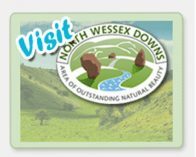 The village dates back well over 1000 years to the Saxon kingdom of Wessex, and is entered in the Domesday Book. 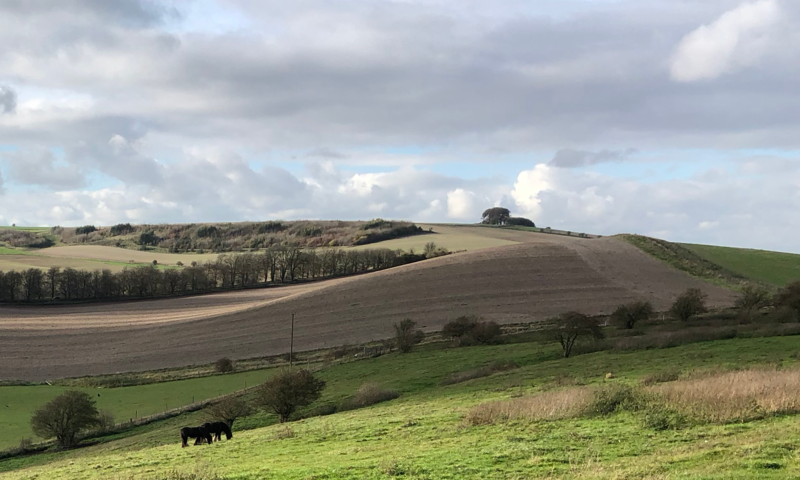 The parish has been inhabited since the distant past, and the evidence is all around us: barrows, crop marks, field systems, the Roman road which forms part of the parish boundary, and the great iron age fortification of Liddington Castle surmounting the hill. Liddington is a great place to live, surrounded by spectacular countryside, with amazing views over the Vale of The White Horse, and close access to the M4 Motorway. The village is attached to the Borough of Swindon. Liddington in Wiltshire, UK, is situated on the ancient Ridgeway track at the edge of the North Wessex Downs Area of Outstanding Natural Beauty. The village dates back well over 1000 years to the Saxon kingdom of Wessex, and is entered in the Domesday Book. The parish has been inhabited since the distant past, and the evidence is all around us: barrows, crop marks, field systems, the Roman road which forms part of the parish boundary, and the great iron age fortification of Liddington Castle surmounting the hill. Liddington is a great place to live, surrounded by spectacular countryside, with amazing views over the Vale of The White Horse, and close access to the M4 Motorway. The village is attached to the Borough of Swindon. At the January meeting it was unanimously agreed that the Precept would need to be increased by 9.49% for 2019/20 to maintain the level of service that has been achieved in this current financial year. Since the transfer of services from Swindon Borough our aim has been to carry out works and maintenance where it is most needed. This equates to approximately £59 for a band D property. The Parish Council will continue to make every effort to ensure that the precept is no higher than is necessary and remains prudent and self-sustaining. The Parish Council fully endorses and supports the aims and objectives of South Swindon Protection Group, whose flyers have been distributed to residents, in fighting the Planning application to build a Science Park on the land at Inlands Farm, Wanborough. We will be submitting our own objections to the proposal and encourage all residents to make their views known to the planning authority. At the time of writing, the new play equipment was due to be installed on Liddington Playing Field soon after 8thJanuary, weather permitting. We hope the children enjoy using the new pieces. As previously mentioned, the basket swing can cater for more than one person at a time, so siblings or parent and child can be on the swing together. It is also suitable for children with disabilities. The Dart Activity Centre should provide a variety of activities. We hope the children enjoy using the new equipment, it would be good to hear what they think. The next meeting of Liddington Parish Council will be held onWednesday 6thFebruary 2019starting at 7pm in the Village Hall, not as reported in the Lyden Magazine. PLEASE NOTE: The AGM for the Village Hall Committee was also incorrectly reported. The Meeting will be held on Monday 18thFebruary at 7.30pm in the Village Hall not as reported in the Lyden Magazine. Planning Permission is being sought for a HUGE warehouse/distribution center at Inlands Farm, Wanborough. Visit http://www.sspg.org.uk to understand the impact this will have on our environment and community. Every year the group performs out & about at Christmas time, to both entertain, spread the Christmas spirit and raise funds for a local charity. 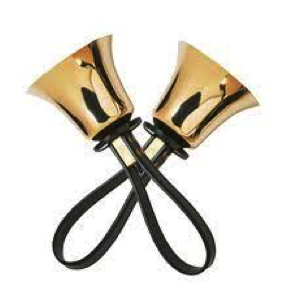 Have you ever thought about trying handbell ringing? This is your opportunity to try something new. Don’t worry, musical experience is not necessary, we ring by numbers! It’s fun and very rewarding. Why not give it a try? Our weekly practices start in September 2019, do join us. 11 meetings were held during the year on the 1st Wednesday of the month excepting August. We now have a full quota of Councillors (7) after the co-option of Cllr Phil Cripps in March 2018. In April 2017 the Parish Council took over many of the ground maintenance tasks, formerly the responsibility of the Borough Council (SBC) and mainly as a result of the reduced transitional funding from SBC the Parish Council has increased the Parish precept for 2018-019 by 12% to £9,421 (£53.74 for Band D). The Parish is in discussion re taking over responsibility for rights-of-way maintenance. Road safety and excessive traffic speeds through the village continue to be a major concern but due to the hard work of our Community Speed Watch (CSW) Team a lot of information has been gathered over the last 12 months. Since they took over last year Adams and Watt Ltd, our contractors for grass cutting and related works around the village, have done an excellent job and have been a pleasure to work with. I’m sure you will have seen a significant improvement but please let us know of any concerns you may have. They were also contracted to clear the footpath along Purley Rd from Hillside Cottages to The Old Rectory although, under the transfer of services, responsibility for the main through routes remained with SBC but their resources are limited. Before and after photographs show a marked improvement. Medbourne Lane: Last autumn traffic monitoring strips were installed at the far end of Medbourne Lane towards Badbury to assess the volume and speed of traffic diverting through Badbury and Medbourne Lane at peak times. As a result there is now an approved location in Medbourne Lane for CSW monitoring. It is hoped that there will be observable benefits from the planned improvements for Jn 15 which start later this year. Last November we had a meeting arranged with Highways England and our local highways group to see their detailed planned improvements for Jn 15 and Commonhead due to start later this year. This was also intended to show the results of traffic modelling and the improvements we could expect but they cancelled it at the last minute and have not been forthcoming with an alternative date. B4192/Purley Rd speeding: Our Community Speed Watch team lead by Cllr Fiona Spillane has collected lots of data at 2 locations on Purley Rd often seeing vehicles speeding at nearly 60mph through the village. The information is passed on to the Police who write to or visit those exceeding the 30mph limit. Cllr Spillane has contacted the Highways Department, SBC, to identify realistic solutions for reducing speeds. Also for 2 weeks in June/July 2017, M4 Westbound traffic was diverted overnight down the B4192. Traffic speeds and noise were a major concern. Development at Badbury Park continues. Planning permission was recently given for a further 81 homes and the developers are now consulting for a change of use of the Business Park area, which crosses Dayhouse Lane (DHL), to 300 houses. Our concern is that this could lead to traffic movement from the development along DHL and through Liddington and Badbury. We continue to monitor the NEV development, particularly Redlands and Lotmead, and to support Wanborough in ensuring the infrastructure and the Southern Connector road to/from the A419 are constructed at an early stage of the development. We had good turnouts for the autumn and spring village clean-up days. Fly tipping and litter dropped by motorists are a big problem in the rural areas. At the last clean-up one group collected a large pile of litter along B4192 between the village and Commonhead. If you have a good idea for a village project now is the time to come and discuss it with us. Defibrillator: The PC is considering installing an AED, Automatic External Defibrillator, in the village and is consulting providers. Playing Field: The play area is checked every 2 weeks and annually by an external contractor. Some parts of the play equipment have had to be replaced. Do let us know if you come across any faults. If you walk your dog there then please ensure it does not enter the children’s play area and that any faeces are picked up and disposed of in the bins provided. Allotments: These are owned and run by the Diocese. The Parish Council has considered supporting users by acting as the local contact but this needs significant local interest. If you are interested in an allotment then please contact a Councillor. It was with great sadness when we heard the news that Lord Joel Joffe had died on 18th June 2017. Our sympathy goes out to his family and friends. The Parish Council is considering a Village memorial to him. I would especially like to thank all my fellow Councillors and especially our Clerk for all their hard work over the last year and hope we can make good progress again in 2018-19. Also don’t forget to access our website www.liddington.org maintained by our webmaster, Cllr Sarah Hill. Please contact Sarah if you have any event news or photographs you would like to post there. I would also like to thank the residents of the village for supporting village activities and the village clean-ups. Remember that your support and your feedback to the Parish Council are essential in helping to improve our village. A survey of traffic speeds on the B4192 through the village was conducted by Swindon Borough Council between the 18th and 25th of September 2016. Speed monitoring equipment was placed on the 30mph signs at both the Aldbourne and Commonhead (Swindon) ends of the village. A third measurement location was placed at the junction of Church Road. According to the traffic management department at SBC, the results of the survey at Church Road indicate average speeds are within the enforcement threshold for the posted speed limit. The speeds of traffic at both edges of the village are higher than desirable, particularly at the Commonhead end. NOTE The 85th percentile speed means that 85% of cars are travelling below this speed and therefore 15% are at higher speeds.